I wore this dress last year for Easter Sunday and I'm still so in love with it. I love a basic, form fitting dress that hits in all the right places. Although the neon coral is already making a statement, I wanted to pair it with a pop of blue to really liven things up. If you read my blog often, you know I have a major crush on creamy neutrals + feminine pinks, so switching things up every now and then keeps things interesting. gorgeous color palette, I love the pairing. 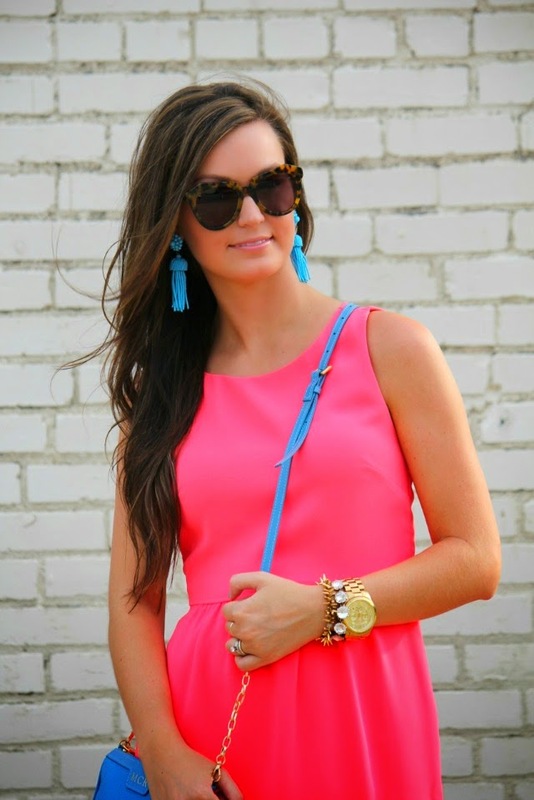 I love all of the bold colors, especially the earrings! These colors look great against your skin color! I love how you switched things up! Also - I'm obsessed with your creamy palette - so much inspiration! Love that dress! It looks so pretty on you and the pops of blue are perfect! Love your style! I am obsessed with your earrings... love the color combo of this outfit too! 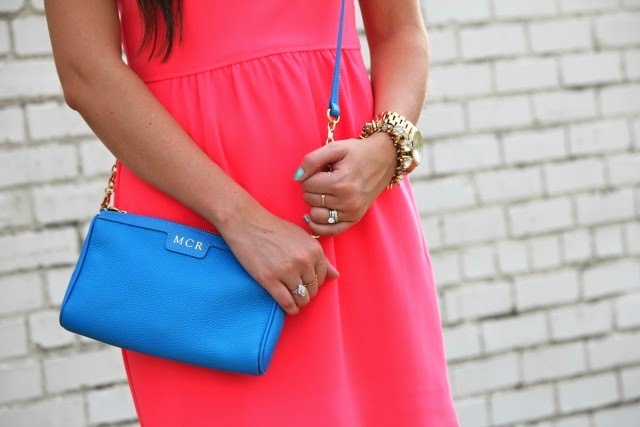 love those colors together, Megan! This dress is such a gorgeous color and I love the pops of blue! I sure love those earrings. Perfection! I wish that dress was still available because I am in love with it. I love how you added all of the blue accessories! Such a beautiful dress! Really pretty. 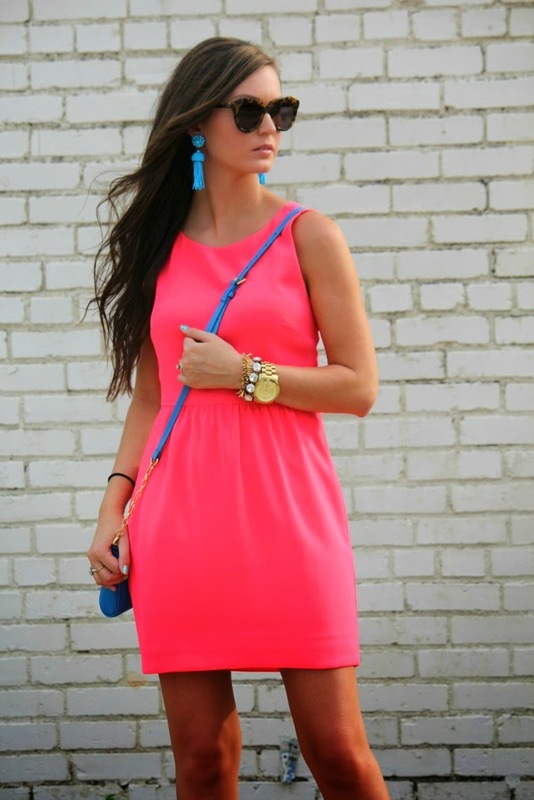 Great cobalt blue and pink color combo as well! Such beautiful vibrant colors. I love color and for that reason, I don't want summer to end. You look great.